Make sure that you have listened to the recorded sentences here. Did you manage to count the words? Was it easy? Perhaps you found it difficult? Remember that this exercise is extremely good for your listening skills practice. If you can identify all of the words, it shows that you are on your way to being able to fully understand what is being said. This is very important in the IELTS listening exam and in the IELTS speaking exam. Have you tried repeating the sentences aloud? What about recording yourself saying the sentences and listening to yourself? How good is your pronunciation? If you’ve listened to the recorded sentences and you think you have counted the correct number of words in each of them, read on. 1 I am having a few friends round for dinner tomorrow. Notice the contracted I and am in the recorded sentence – /aɪm/. Can you hear how for is pronounced? It’s /fə/. There are 10 words in this sentence. 2 If you had not told me it was going to happen, I would not have believed it. Can you hear all of the contractions and weak forms in this sentence? Go back and listen again. There are 17 words in this sentence. 3 Studying for the IELTS exam can take a lot of time, can’t it? This sentence is made up of 14 words. Don’t forget we are counting contractions as 2 words. 4 Why don’t you turn on the television and see if there is any news on the situation? There are 18 words in this sentence. Go back to the recordings and listen to how see if there is is said. Notice how the words run together. 5 He really is not as happy as he used to be when he was younger, is he? There are 17 words in this sentence. How many of these did you get right? 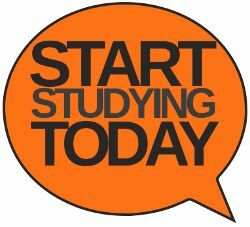 If you are a serious IELTS student, you should make the effort and go back to the recordings and listen to them again. Why not subscribe to this site so that you don’t miss the next post? There are more listening exercises coming soon. Posted in: audio, general, listening, pronunciation, speaking.